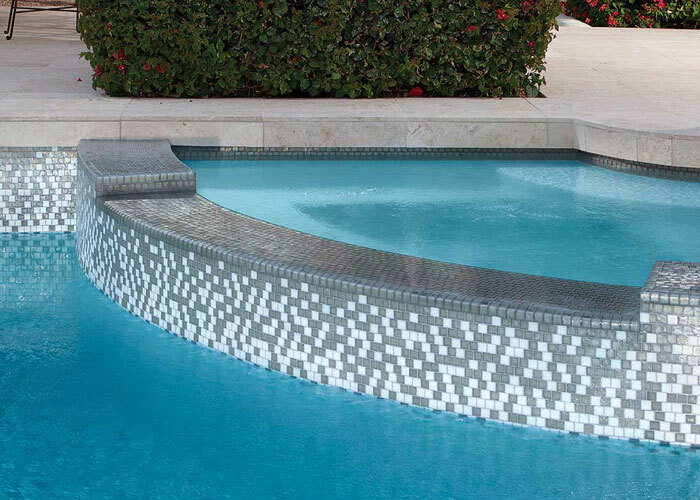 When your pool tile becomes stained, dirty, or develops a buildup of scale, it detracts from the beauty of your poolscape and contributes to premature wear to your grout. No matter how clean your water is, you can be sure that everyone will notice dirty or scaled tile. 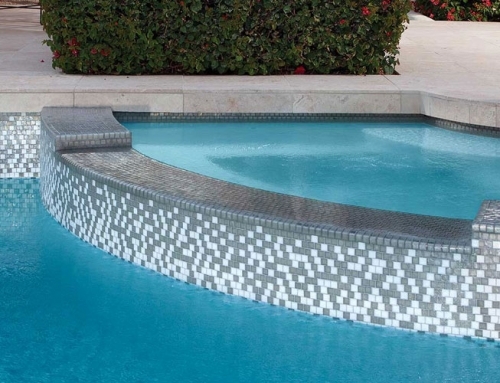 Our effective pool tile cleaning in Las Vegas is a fast and easy way to restore bright, clean tiles without hours of scrubbing with a pumice stone or harsh chemicals. 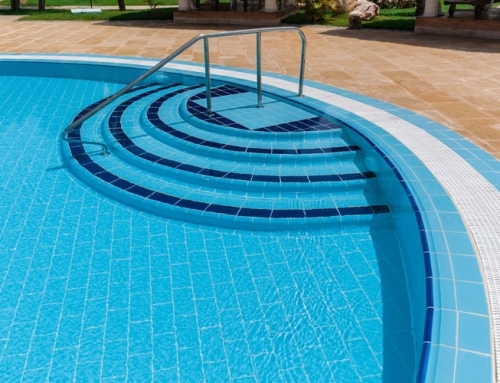 Here are some common questions to help you better understand this pool cleaning service. Does my pool need to be drained? No, but we will lower the water level about 4 to 6 inches below the scale or stains. We use a submersible pump to lower the water level before our technician gets in the pool. You can swim again after the pool tile cleaning and you can top the pool off right away. 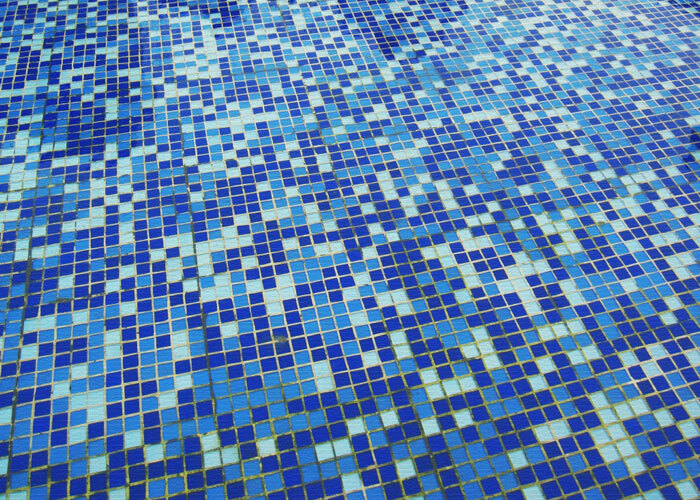 Bead blasting is the gold standard in pool tile cleaning. This process blasts very tiny beads with a low pressure air stream at the tile to remove even thick deposits, algae, and grime. The beads are round like marbles yet smaller than grains of sugar. Glass bead blasting is a chemical-free, eco-friendly option that will not damage your tile or sensitive grout. We can use shot bead blasting to clean all types of tile such as glass, stone, ceramic, and porcelain. How is salt blasting different? For delicate surfaces, we may recommend mineral salt blasting instead of bead blasting. Salt is more effective for very thick scale buildup or certain types of calcium deposits as well as delicate glass and hand-painted tile. Does the blast media make a mess? No. We typically use glass bead blasting for pool tile cleaning. These beads will sink to the bottom of your pool during the cleaning process but we use a special vacuum to remove them from your pool before we leave. The glass beads can then be recycled. You may notice your water is slightly cloudy after cleaning. This is simply suspended calcium that was blasted off the tile. It will be filtered out within a day or two. How long does this pool cleaning service take? 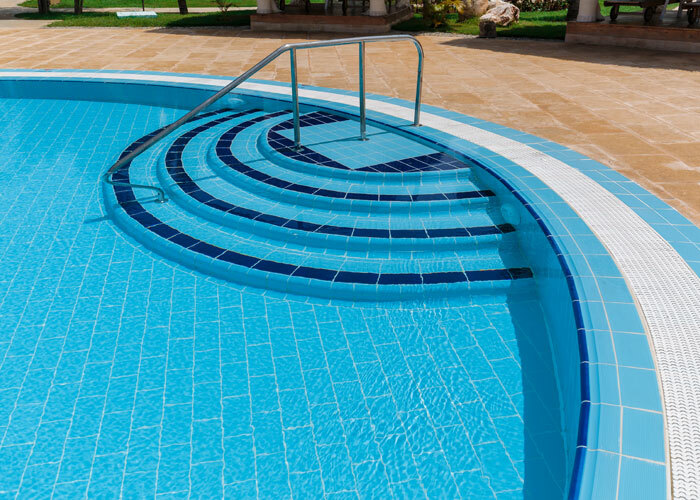 This depends on the amount of calcium scale on your tile and whether you have scale buildup elsewhere, such as around water features of your pool. 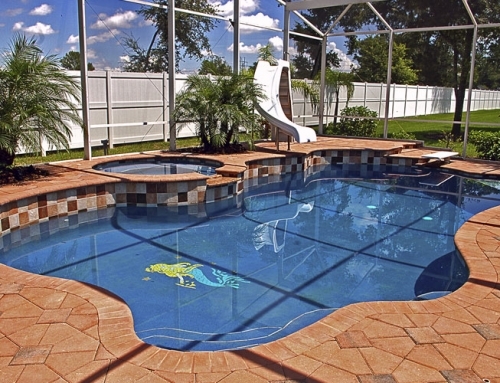 In general, pool tile cleaning takes 2-4 hours to complete. You do not need to be home for the process, however; we only need access to the pool. Should the tile be sealed after it’s cleaned? While tile can be sealed once it’s cleaned, it’s not recommended. A tile sealer won’t stop scale buildup and it can discolor after a few months, especially in the hot Las Vegas sun. Tile cleaner also makes pool tile cleaning harder the next time you try to remove scale. What causes scale buildup on my pool tile? 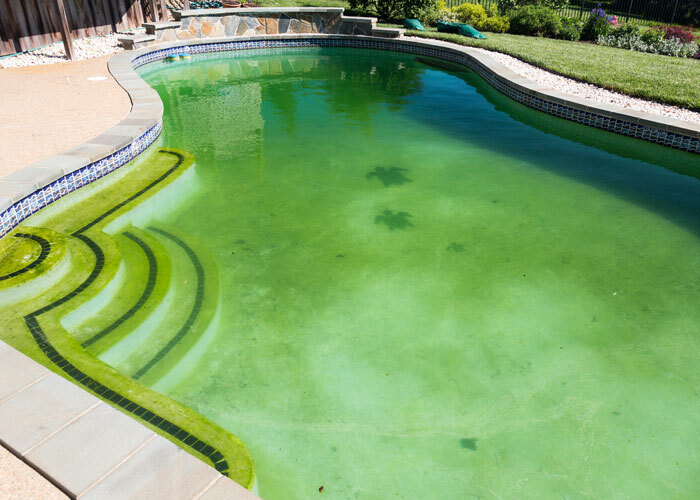 Scale is simply calcium and other hard minerals dissolved in your pool that are left behind as water evaporates. While all pools will develop some amount of hard water deposits, scale can become a more serious problem if the pH of your water falls outside an acceptable range, especially if it becomes too high. High alkalinity of more than 120 can also contribute to scale around your waterline. How long will my tile stay clean after bead blasting? There is no specific amount of time the tile will stay clean as it depends on the mineral content of your water, the pH, and the alkalinity. We recommend testing your water regularly to keep it within acceptable limits with a calcium level between 200 and 400 ppm.